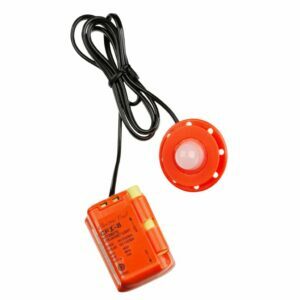 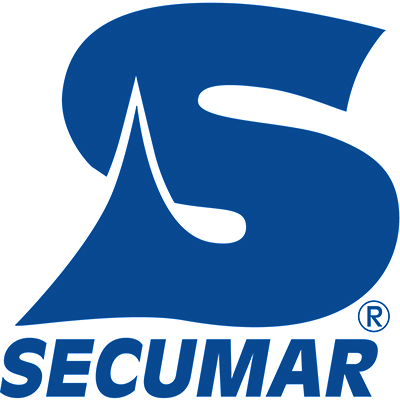 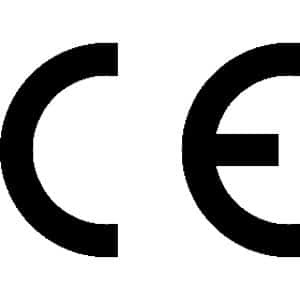 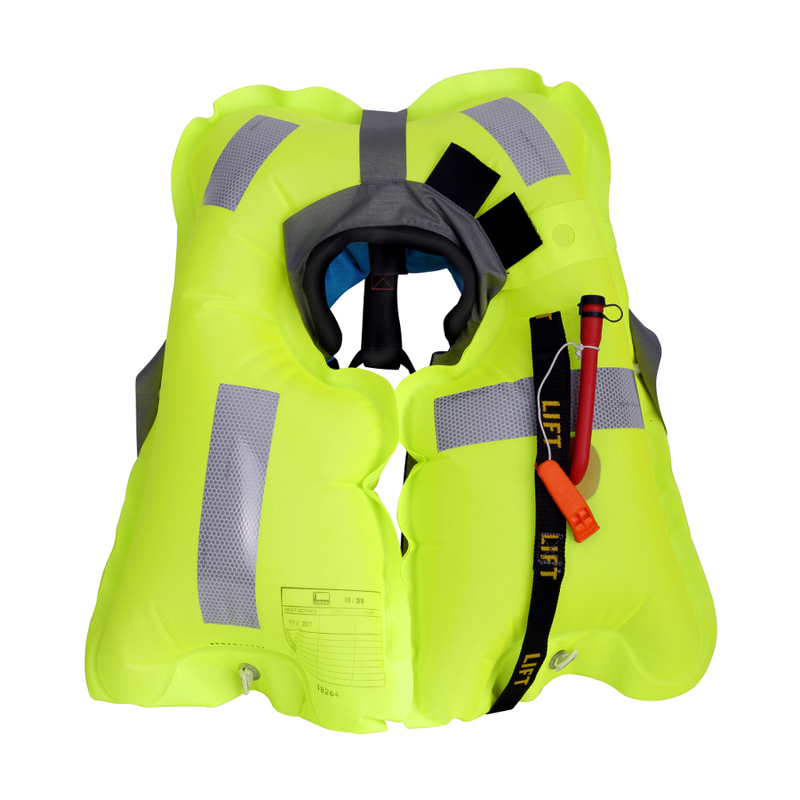 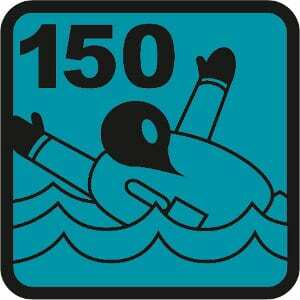 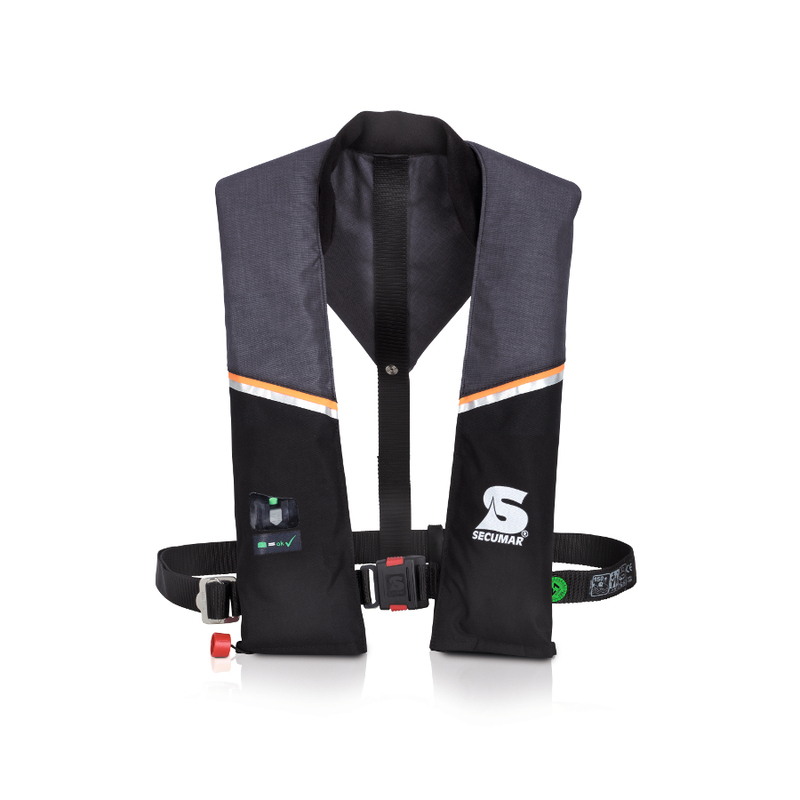 150N inflatable lifejacket approved to DIN EN ISO 12402-3. 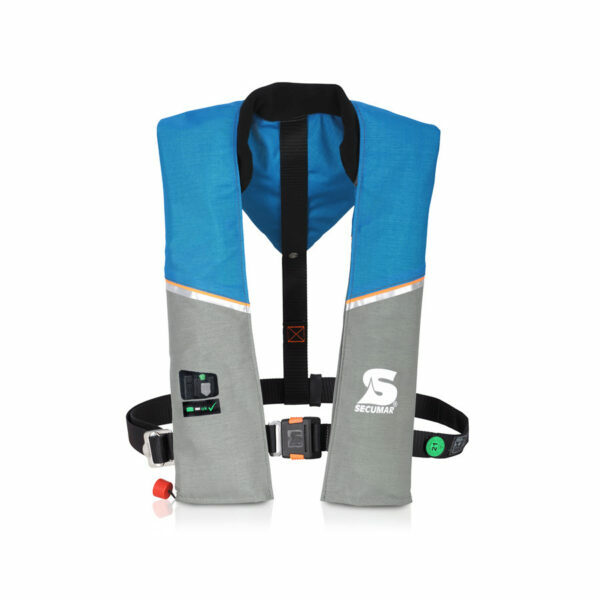 Extra flat, smart design for extra comfort and freedom of movement and fully equipped with bayonet fixing gas bottle, inspection window, crotch strap as standard. 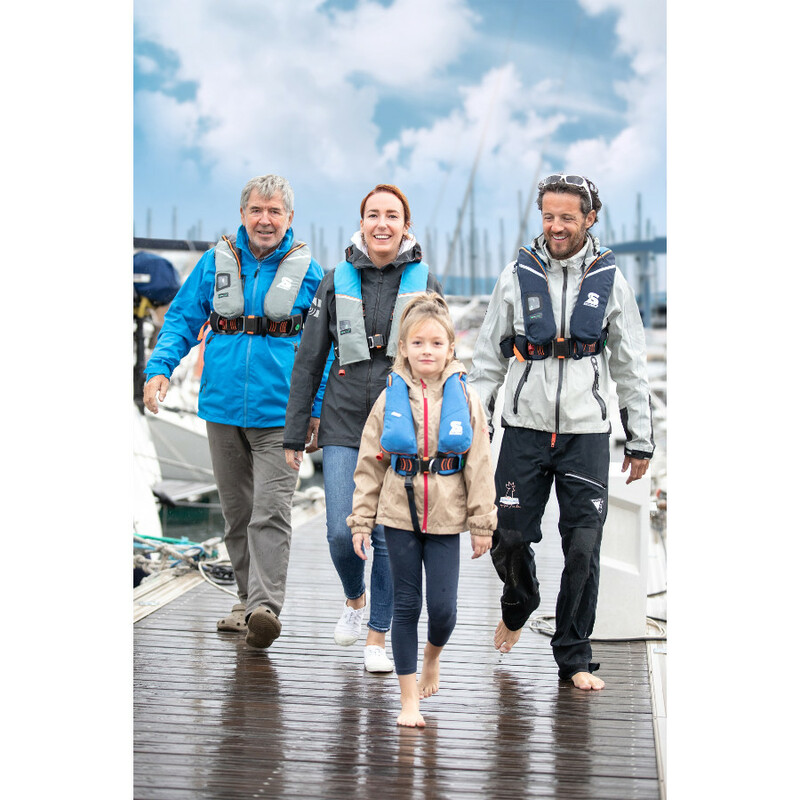 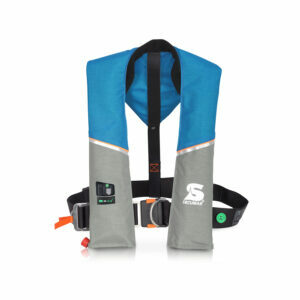 One of the flattest and most comfortable lifejackets around. Designed around the RNLI’s “Useless Unless Worn” campaign, this 150N extra flat, smart design is easy to wear with its ‘proper’ click front buckle and comes fully equipped with bayonet fixing gas bottle, inspection window, neck fleece and crotch strap as standard. 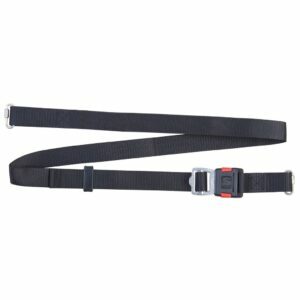 A great value product.